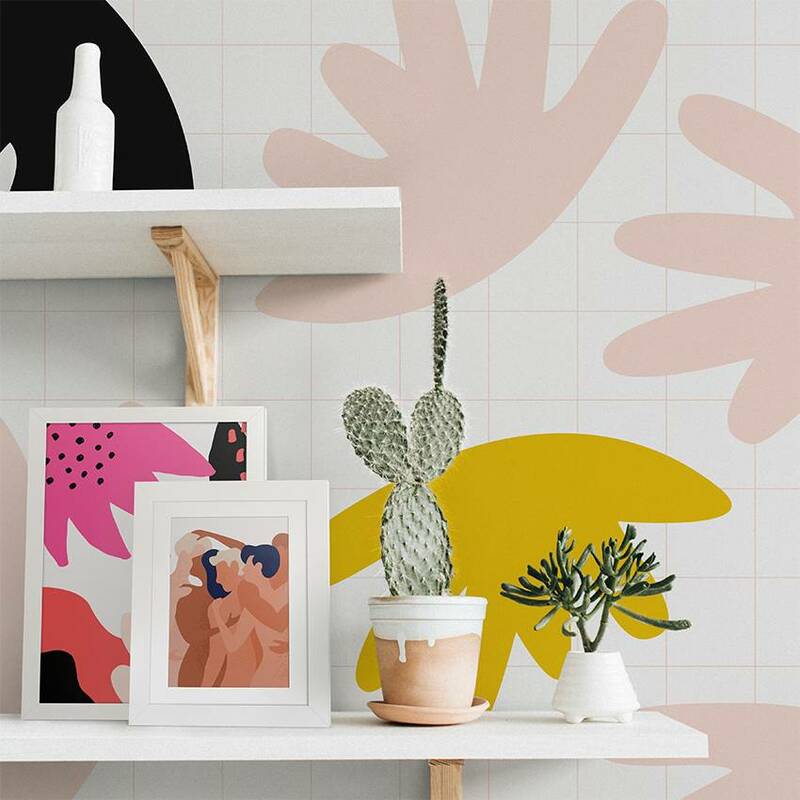 Vinyl Wall Mural Vector seamless pattern with abstract organic shapes in pastel colors and simple geometric background. Framed Poster Crowd of naked men and women hugging and kissing. Concept of polygamy, polyamory, open intimate romantic and sexual relationship, free love. Colorful vector illustration in flat cartoon style.